Thank you. 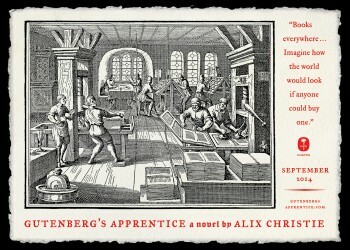 Gutenberg’s Apprentice is an astounding work. 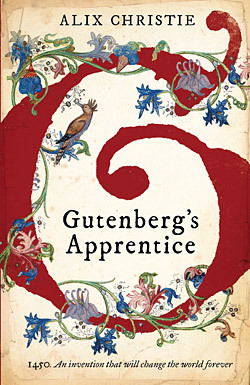 Not just the scholarship but a compelling writing voice, too. Add in a profound ability to conjure up the sights sounds and smell of a working letterpress shop in such a way that the reader will be transported. 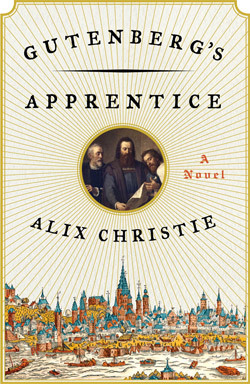 That it is Ms. Christie’s debut novel is amazing to me. Her writing is so skillful, tactile and so evocative that I’m glad I happened to have a printers devil typecase key on my desk to handle while I was reading or I would have felt cut loose and adrift. This will be a book I hold inside for a long, long time.